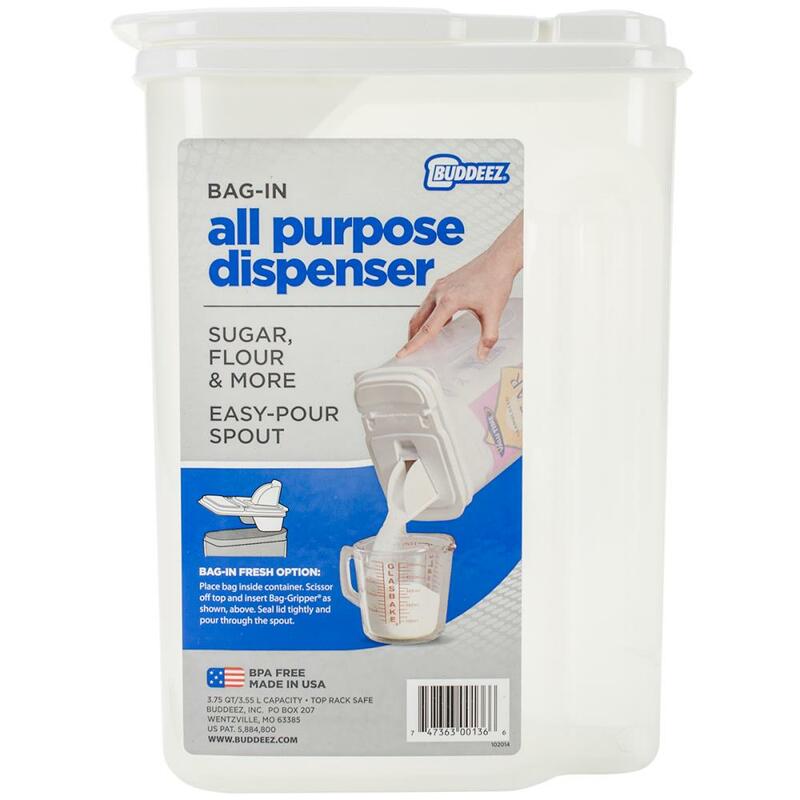 ›Buddeez 3.5qt Bag-In All-Purpose Dispenser W/Handle-9.25"x6.25"x4.25"
Buddeez 3.5qt Bag-In All-Purpose Dispenser W/Handle-9.25"x6.25"x4.25"
Buddeez-Bag In All Purpose Dispenser With Handle. The all purpose dispenser is ideal for cereal, pasta, rice, sugar and more! You food comes fresh from the original wrapper. Just place the bag inside, pull the edge of the wrapper around the outside, and then dispense the product with the flip lid or spout using the integrated handle! Contains one 9-1/4x6-1/4x4-1/4 inch all purpose dispenser. Made in USA.